Every woman is stylish to the core and wishes for everything that she dawns to be perfect to the last point. With all these demands the makers have taken p many new things that will help in the supply of such demands. Among the many necessities for women; there are a few which never get old and always need a revamp irrespective of it being just a month old. Yes, you guessed it right – Bags. This is one necessity which is a dire need of every woman and is expected to be stylish as well. So you will now be able to find such bags in all the local stores and at online shopping portals. The most common and trending of all these bags are embroidered bags. •	Handbags are a common piece of accessory for a working woman as well as a college going chick. •	They need to change their handbags just like their clothes and all of them should match with their style. This is the reason they wish to buy a purse or a handbag which can match with their attire and would not require anychange at least for a week. •	Handbags have a great utility for women as they have many things to be carried at one time and making use of handbags is a good decision. •	These bags are embroidered so that they have a good style and are colorful. The embroidered handbags make it a trend for women to carry them around and that too at cheap rates. Tote bags are a daily utility accessory and can be found at every shopping mall and portals. The embroidered tote bags are the most popular of all these days. They are spacious and provide ultimate utility for all the need. These embroidered bags are not limited to tote bags and handbags but have a variety as well. They are now available in purses as well. The purses have a small utility of carrying only the important things such as cash, cards, documents and smartphones. But these purses should also be embroidered to give a good look while carrying them. 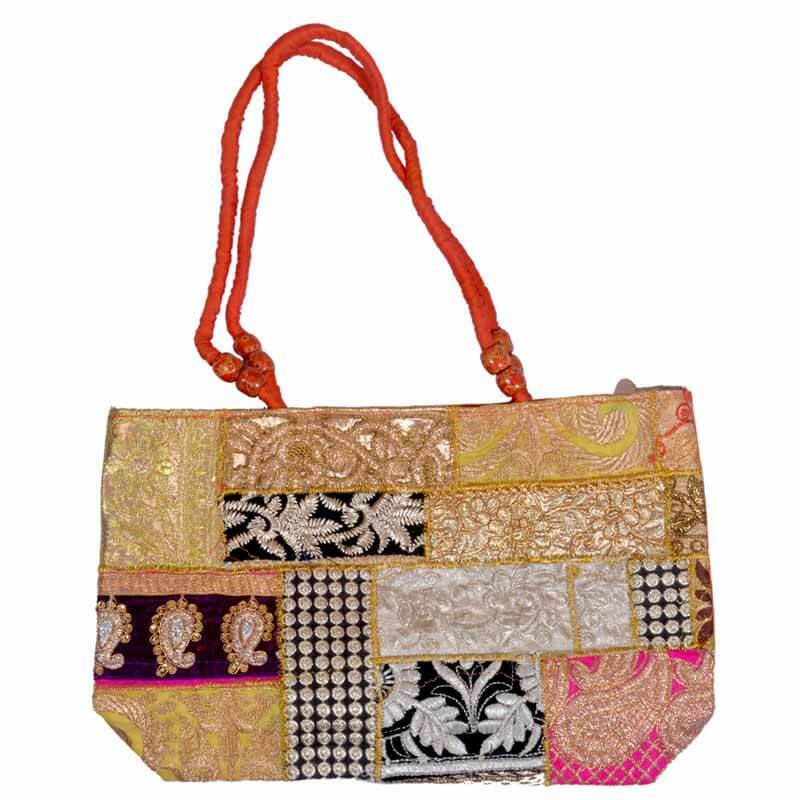 You will find many embroidered purse available online with different fabrics. The embroidery has many variations that can be seen online and have the touch of the Indian culture. You can find all these embroidered bags at shopolics.com. They offer great discounts and deals for your shopping and make an amazing shopping experience. The sale available from time to time has humungous collection for all the customers and shopping enthusiasts. You need not worry about physically going to the shop and bargaining on a product of your choice. It is a one price shop and has not much flexibility in pricing as they are already reasonable. So go ahead and find the right embroidered bag for your use and purchase them with just a few click here and there. The Jaipuri collection at shopolics.com will show you the taste of the Indian culture through their products.